Now we will clean the old drivers off the system with DDU to prepare the system for the new drivers. We now need to get the system to restart in “safe mode” which will help the utility to clean the old drivers thoroughly. It can be easily done on a restart by pressing F8 and then selecting “safe mode”. If you can’t get into safe mode from that then I will show you a simple way to do it. 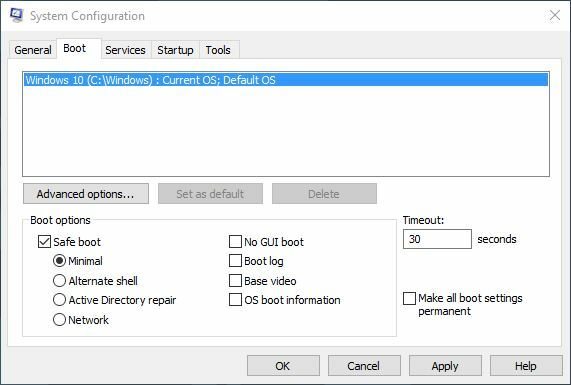 In this example I will be shoiwing how to get to safe mode from within Windows 10. In the toolbarclick on the eyeglass and enter into the search field “msconfig” and click on the result that comes up. 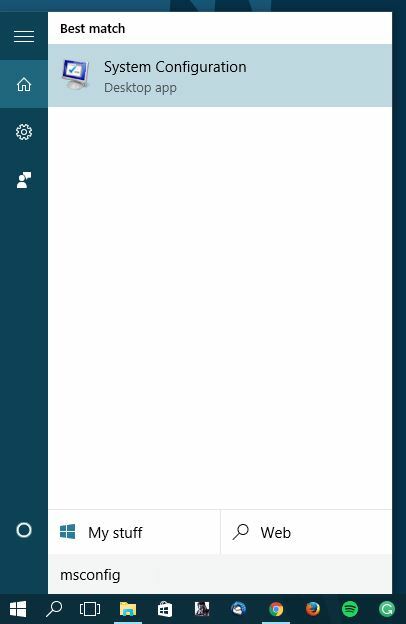 you can also use that search term in other versions of Windows to do this task. You will then see this page and you will want to select the “boot” tab. Form here you will select “Safe boot” and then press OK.
Exit with or without restart depending on whether you have to save information or not. On the next reboot you will be in the safe mode and it will be a basic bare bones version of windows that doesn’t load a bunch of extra stuff. This is essential in letting DDU completely remove all the files that could cause some issues. You will now be running DDU to clean your drivers, please note that you do not need to unistall drivers via add/remove programs before this step. When opening the DDU file it will self extract and you will want to click on the DDU application icon from within the folder. But first we will make sure that we will get out of the safe mode on next reboot. 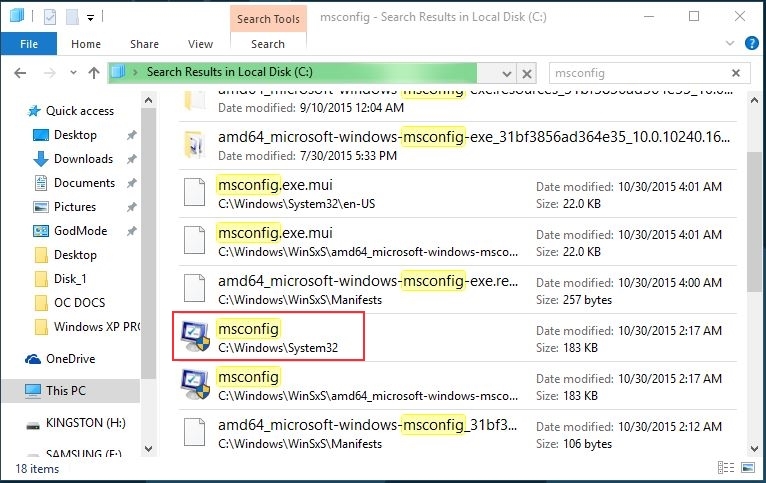 To make sure we can restart into regular Windows we will first open up a new folder and navigate to “This PC” (or C: ) and search “msconfig”. When the result comes up click on the icon in the red box ( C:\\Windows\System32) and the menu will be the same as the previous section. 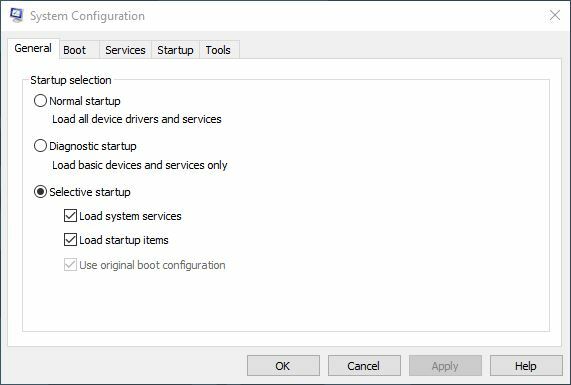 Click on “Normal Startup” and click OK and then exit without restarting so we can use DDU and restart into Windows. 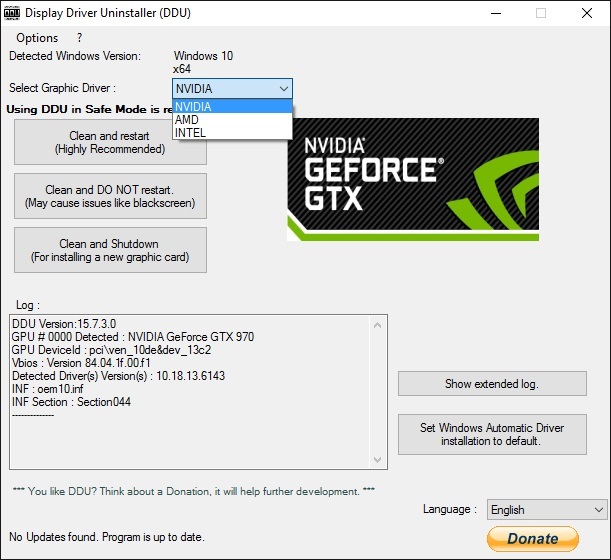 Be sure that the Nvidia driver option is selected from within the application. As you can see this can also be used with AMD and Intel display drivers. As long as you have gone into msconfig and set it to Normal startup go ahead and press “Clean and restart”. It will do its thing and then restart into Windows.